Frederic was born on November 14, 1829 to mother Catherine [Trotier] from Illinois and father Francois Gerard from Canada in St. Louis, Missouri. He fit the mold of his French-American explorer ancestors who also had struck out from that old Mississippi River fur town. He moved to Dakota Territory at the age of 19 to be a clerk for John Jacob Astor's fur company at Fort Clark. He did so well trading with the Indians, his wages increased 500% the first year. He also delivered mail up and down the Missouri River to military forts from Nebraska to Montana during the Civil War. When the Arikara / Ree Indians saw how well he rode and shot in their tribal hunts and learned their language, their chief White Shield practically adopted him into the tribe, awarding him the name of "Swift Buffalo" among the Arikara. He spent four years at Xavier Academy in St. Louis. His trading post quarters contained rows of medical books and cartons of pills. His knowledge of healing caused the suspicious medicine men to accept him as a fellow-professional. While working for the American Fur Company, including an assignment at Fort Pierre, his reputation grew with the Native American population. 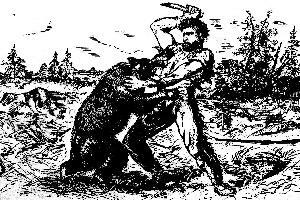 The Sioux gave him the name "Strike the Bear" after he fought a bare-handed battle with a grizzy bear in 1855. From 1857 to 1869, Gerard ran the Fort Berthold trading post. While there, a boat returning from the gold fields of Montana brought miners and family members to the fort along with over $100,000 in gold. Despite warnings by Gerard over the movements of the Sioux down river, the boat was reloaded and continued downstream. At a point north of Mandan, the party sited an elder Indian fishing off a sandbar and shot him. The area Indians hastily organized and attacked the boat. The entire party on the boat was killed. Once informed of the incident, Gerard sent two Arikara men down to retrieve the gold; however only 75% was recovered. In 1869, the American Fur Co. sold the trading post. Gerard became an independant trader. Over the subsequent years, he moved his operation to various points along the Missouri River, including Montana. But after another Indian encounter and the loss of his inventory of goods, at the age of 43 he accepted a position as an interpreter at Fort Lincoln. In 1872, he staked out a claim near the fort. From July 1872 go 1883, provided meat and vegetables to the staff at the fort. However once the Northern Pacific RR finalized its route, the parcel was part of the land awarded the NPRR. In 1873, his knowledge of this tribe kept a NPRR survey party led by Thomas Rosser from being ambushed by a band of fifty Sioux warriors. As a reward, the Railroad gave Gerard forty acres of land in present day southeast Mandan which still retains his name as Gerard's Addition. He joined the US Army's 7th Calvary on May 12, 1876 at Mandan just two months before the Battle of the Little Big Horn. Civilization, in many forms, was moving into the West. Its success rested in part upon men who knew the Indians and how to deal with them. So Gerard found a job as government interpreter practially forced upon him. Fortunately for him, he was assigned to Major Reno's command but got separated during his retreat with three other men. After hiding out for two days, General Terry's infantry rescued them. Gerard left military service shortly afterward. Gerard's first wife, Helena Catherine, was an Arikara woman he had married while engaged in the fur trading business even before statehood. This marriage produced three daughters, Josephine (b. July 13, 1860), Carrie (b. July 4, 1862) and Virginia (b. February 26, 1864). 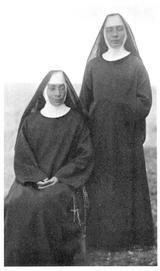 Josephine and Virgina joined the Catholic Benedictian Order convent at St. Joseph, Minnesota. He had a son, Frederic, Jr. mothered by a Blackfoot Piegan woman named Catherine he met in Montana. At the age of 50 and on November 15, 1877 he married Ella Sarborourgh Waddell of Kansas City with whom he fathered four additional children; Frederic Curtis, Birdie, Charles and Florence. On April 13, 1878, Gerard was granted a charter for a tool bridge across the Heart River, but this was never constructed. He later successfully petitioned for a charter for a ferry across the river, in lieu of the bridge which he operated for some time. He was appointed the first county assessor in March 1878 and was among the first three elected county commissioners later that fall. He participated in the December 1878 meeting to name the city Mandan and make it the county seat of Morton County. He was among the 28 petitioners to the US Congress to restore the city of Mandan to Morton County after being reassigned to Burleigh County by the Territorial Legislature in 1879. In 1886, he stood his ground against the movement to build the city's first water works plant for drinking water on the Heart River. He anticipated the growth of the city and did not expect the flow of water from the Heart River sould be adequate. He insisted instead it be built on the hill north of town and get its supply from the Missouri River instead. In 1883, he and his family operated a store in Mandan. They sold it and moved in 1890 to booming Minneapolis to enter the aggressive occupation of advertising. At the age of 77, he was still holding the job, as an agent for Pillsbury mills. The Sioux were eating biscuits made from the flour he was promoting. He died on January 30, 1913 in St. Cloud of arteriosclerosis and is buried in the graveyard at St. Benedict's Convent in St. Joseph, Minnesota. 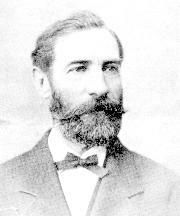 Note: Frederic Gerard's name is recorded in numerous early documents. Variations of his name include "Frederic Gererd" and "Frederick Girard." The version used for this article is found on his enlistment papers with the US Army.